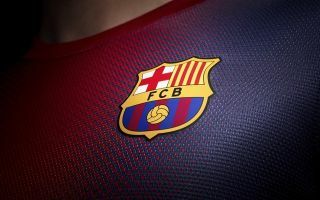 One former Barcelona player could face up to twelve-and-a-half-years in prison, the star is still on the books at Barcelona. According to Spanish newspaper Marca, disgraced Turkish international Arda Turan is facing from three to twelve-and-a-half-years in prison for assaulting a famous Turkish singer in a nightclub. Turan joined Istanbul on a two-and-half-year loan deal from Barcelona in January of last year after falling out of favour at the Camp Nou, the attacking midfielder made 55 appearances for the Blaugrana across all competitions over two seasons before being exiled in his third season. Turan is being accused of an assault on Turkish singer, Berkay Sahin. Marca are reporting that the ex-Atletico Madrid star is accused of sexual harassment, inflicting intentional injuries and shooting a firearm in a way to cause panic, as well as carrying weapons without a license. The altercation is understood to have stemmed from Turan approaching the singer’s wife, Ozlem Ada. Sahin and Arda were later involved in an altercation and Sahin ended up with a broken nose. In a bizarre turn of events, Turan visited Sahin in hospital and asked him to shoot him with a gun. After Sahin refused to, Turan fired the gun at the ground – causing a panic at the hospital.